Ahead of the December 21 judgement, Azam Khan’s wife Rizwana has moved the Bombay High Court narrating accounts of intimidation, murder threats and prosecutorial laxity. On December 6, the special CBI court hearing the Sohrabuddin Sheikh ‘staged’ encounter case reserved its judgement, which according to news reports, is likely to be delivered on December 21, because the judge SJ Sharma is to retire at the end of the month. However, now, Azam Khan, a prime witness in the case in which Narendra Modi is a key suspect, and BJP president Amit Shah was a key accused (he was sent to jail, and even externed from Gujarat before the Supreme Court in a controversial decision discharged him from the case), has moved the Bombay High Court , contending that he was subjected to sustained brutal torture and intimidation prior to his deposition, and the court of judge SJ Sharma did not afford him the opportunity to testify in a proper and fearless manner, with the Special Public Prosecutor failing to bring major and critical chunks of his testimony on record. 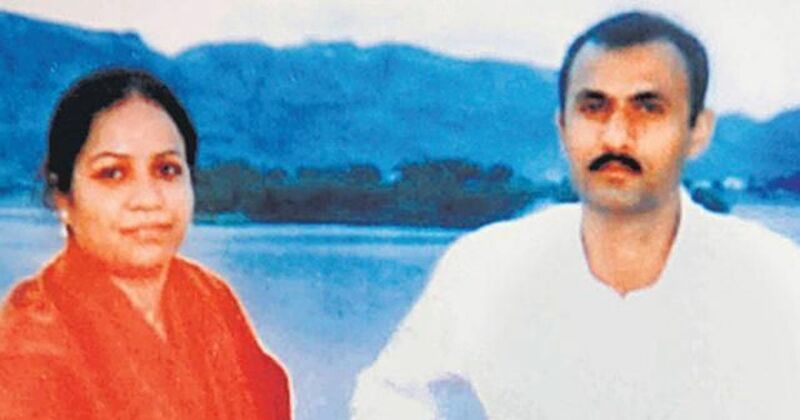 Accusing some Gujarat and Rajasthan top police officers, who allegedly played a crucial role in the alleged encounter of Sohrabuddin Shaikh, his wife Kausar Bi and acolyte Tulsiram Prajapati, of threatening him repeatedly to not take their names , Khan has been forced to file the writ petition through his wife Rizwana, since prison officials were not allowing him to sign the petition from jail. Rizwana has approached the Bombay High Court, since testimony of her husband was incomplete, alleging that he was brought to the Court after facing almost 20 days of unrelenting torture at the hands of Udaipur Police personnel. Even on the morning of the deposition, he was threatened by one of the accused, Inspector Abdul Rehman in the presence of Udaipur police personnel who had brought him under custody to Mumbai, she said. During his deposition and despite his having requested for the same, Khan was not shown his statements under Section 164 CrPC and the same have not even been exhibited. Only a few days ago, Khan, one of the key witnesses in the controversial Sohrabuddin Sheikh fake encounter case, gave a new twist to the court proceedings. In his recent deposition at before the CBI court, the Udaipur-based gangster said that Gujarat top cop D.G. Vanzara had ordered the killing of former BJP minister Haren Pandya. Since Vanzara was considered close to now BJP president Amit Shah and the then chief minister of the state Narendra Modi, his statement threw the mysterious Pandya murder case back into spotlight. Khan has already testified that the Sohrabuddin encounter was fake and that Prajapati who was a witness to that encounter was subsequently killed in a fake encounter himself. While he was able to name one retired IPS officer, he was scared to name other IPS officers and politicians after he was threatened by the accused Abdul Rehman on the morning of the deposition. He had been taken in custody from Udaipur to Mumbai where he was kept at a hotel having the word ‘Silver’ in its name at Syed Kazi Street in Mumbai. There the accused Abdul Rehman came in a black SUV and the accompanying police personnel from Udaipur Police made him sit in that car with him for about half an hour. Rehman threatened him that if he did not depose as per the wishes of the accused, he would be implicated in more false cases and that he would suffer other consequences. This was subsequent to the torture that he faced while he was in custody. According to Rizwana’s petition, the phase of intimidation began on June 7, 2018 when Azam Khan, his two brothers and his uncle were picked up by the Udaipur police. Within days, Khan’s uncle and two brothers were illegally detained by the Udaipur police and tortured for a week before being abandoned on the road, she said. During this period, they were tortured and made to sign on fabricated and concocted statements, under the threat that Khan should depose in the Mumbai case according to what the police officials wished him to do. On the evening of October 1, 2018, when Rizwana was leaving her home to attend to some errands, she was stopped by three unknown persons on sblack Pulsar bike without number plates, and forcibly taken to meet two people, in addition to the driver, sitting in a white luxury car parked on the roadside. The three persons introduced her as Azam’s wife to the person in white clothes in the back seat of the car. This person proceeded to threaten her, saying that if her husband did not give his witness statement according to their wishes, what had happened to Kausarbi (wife of Sohrabuddin. who was allegedly gang-raped and murdered) would happen to her, and Khan would meet a fate worse than that of Sohrabuddin and Tulsiram. On October 12, 2018, her husband was arrested in Delhi by a Special Team of Udaipur Police, which was accompanied by one Harinder Singh Soda, in-charge of Bhupalpura Police Station and brought to Udaipur, but she was not informed of the same, she said. On the morning of October 13, 2018, Rizwana went from pillar to post in search of her husband, including several police Stations of Udaipur. When she finally reached Bhupalpura Police Station, asking after her husband and begging to speak to him once, the police personnel present did not let her speak to him. Rather, Soda, station-in-charge, beat her up, grabbed her by the hair and dragged her to a lock-up, which was right next to where her husband was, she added. Her phone was also snatched from her and she was detained there for four-five hours, from about 11 am to 4 pm. If her phone’s GPS location for the said date and time is checked, her said location will be confirmed, she states in the petition. From October 13 to 18, Khan remained in police custody at Bhupalpura and was repeatedly assaulted during this period. On or around October17, 2018, Soda forced him to sit in front of the Hanuman temple inside the station compound and ordered each one of the fifty-plus police personnel to kick and punch him. They proceeded to mercilessly assault him physically, kicking and punching. She said her husband relayed these incidents of torture to her when she met him on October 18, 2018, after verbally obtaining permission from the magistrate’s Court where he was being produced, which was pleased to orally grant her permission to meet him for 10 minutes inside the courtroom. Khan also showed Rizwana the injuries on his body, including on his hands, legs, his chest, and the soles of his feet, and he even had blood stains on his shirt, she stated. Custodial torture continued unabated till November 2, while Khan was being shuttled between different police stations in Rajasthan, and was finally brought to Mumbai by train, Rizwana’s petition state. After testifying, he was sent back to Rajasthan, where the custodial torture continued in various jails and police stations. Even when he was in judicial custody on the orders of the Rajasthan High Court (which Rizwana had moved by way of Criminal Writ Petition No. 416/2018 fearing for his safety and life) , he was not spared. The assaulters of Bhupalpura police station, led by Soda, kept appearing on the scene and adding to his travails. In her petition. Rizwana has alleged that Special Prosecutor BP Raju ignored crucial parts of her husband’s testimony, especially those implicating Gujarat IPS officer Abhay Chudasama and Amit Shah. According to her petition, there are a number of witnesses who can corroborate various aspects of Khan’s testimony or are otherwise material to the case. A bare perusal of the chargesheet shows that 500 witnesses were listed, though the CBI prosecutor bothered to examine only 210, out of whom 92 have turned hostile. Many of these witnesses who have turned hostile have been repeatedly threatened, a factor the prosecution did not bother to examine or bring to the notice of the court. Rizwana prays that a special prosecutor be appointed by the Bombay High Court to review the evidence and to study the testimony of these hostile witnesses. Judge Sharma is apparently in a hurry to pronounce judgement in the case because of his impending retirement, but Azam Khan’s lawyers fervently hope that the Bombay High Court, with the limited time it has on its hands, would act with alacrity to prevent justice from being run off the rails.